At Monopoly Digital in Los Angeles, we’re passionate about growing your business. We specialize in helping businesses grow by building fast-loading and responsive websites and creating high-quality content that engages. Our Los Angeles Marketing Agency targets your prospective audience to deliver your message effectively. As an internet marketing agency, we know how important results and ROI are for small business owners. That is why we provide internet marketing services tailored specifically to your business and designed to drive real results. Internet Marketing in Los Angeles is hypercompetitive. That is why we focus on what matters most, generating real customers by increasing traffic to your website and calls to your business. To accomplish this, we partner directly with you to best understand your company’s vision, values, and goals first. From there, we start by getting you seen online and placing your business where clients are more likely to call or visit your website. In other words, we work to deliver rankings that result in business changing growth. Any internet marketing agency can pump out white noise, but what happens when results don’t follow? Turning up the volume won’t solve for poor rankings and no new calls. And crushing your competition with Los Angeles Digital Marketing services doesn’t just mean having a short-lived ranking from black-hat techniques. In short, it’s about making your website a revenue-generating machine. Built on a foundation of quality content and white-hat SEO that every search engine loves. We pride ourselves as being an internet marketing agency that cares about our client’s business. That is why we see our client’s success as our success. Our connections to Los Angeles are strong and long-lasting, let us help your small business succeed online in one of the most competitive markets in the United States. So join the Monopoly Digital Marketing family and see just how far we can take your business with our Los Angeles Digital Marketing services. The Audit – The first part of our process is an in-depth and comprehensive website audit. We work to find any technical or user experience (ux) issues that might be hurting your user engagement and search performance. We’ll find out who is linking to your website and analyze your link data for positive or negative effects. Additionally, we will analyze and grade all of the content on your site. We also assess how well your website is designed to generate leads. Research & Competitor Analysis – During the second stage we research your vertical and determine how your competitors use online marketing to build their band. We find the ideal keywords to target, analyze your competitors and find link building opportunities to drive traffic and help boost SEO rankings and increase your internet marketing reach. This is where we lay the foundation of all future actions, so this is a critical phase..
Our Strategy – The third stage involves taking what we have learned and creating a strategy to improve your site’s rankings and organic search traffic. We know you need results fast, and we prioritize actions with the most impact first, but things need to be done in a proper order to keep the search engines happy. 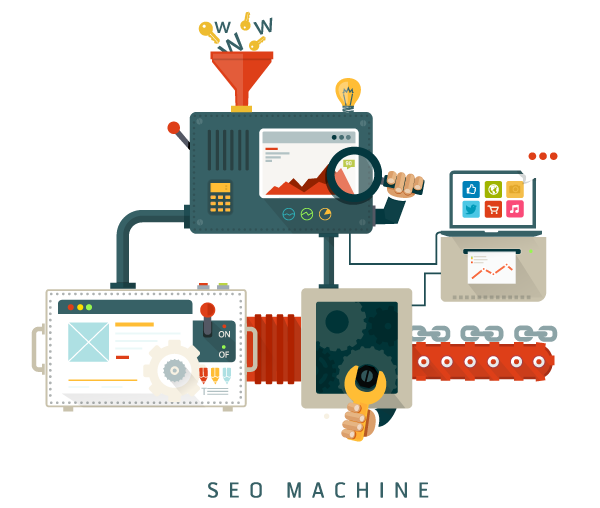 We provide you with keyword rank tracking reporting, our link building strategy, and on-going competitor analysis. Website Optimization – The fourth stage is all about that action, boss. 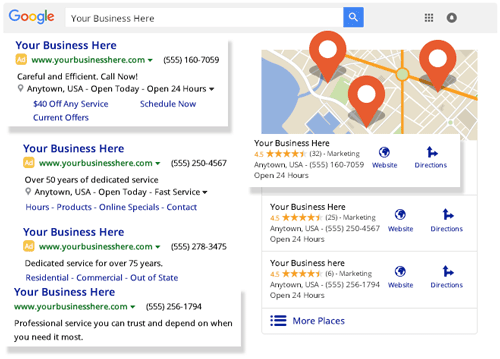 Here we start by optimizing your website, so it’s ready to dominate Google and generate leads. We’re not going to bore you with too many technical terms -this where we go super nerd on your code. Content Creation – The fifth stage is when we develop a base of long-tail keywords specific to your industry. We create content assets that we can use to rank, attract backlinks naturally to your website, and engage your audience. We’re talking blog content, infographics, videos, graphics and really anything that will get people to want to link out to your website. Link Building – The sixth part of the process is where we build your website’s domain authority, so it’s easier to rank in search results. You can think of each link to your website as a popularity vote for your site. Not all links have an equal vote, but the point is to get the search engines to think you’re the coolest, most popular website on the web for your product or service. This process is on-going. You never want to stop acquiring backlinks to your website and content assets. In years time your goal should be to have many, many quality links to your site. At Monopoly Digital Marketing we find solutions to your marketing needs through strategy, technology, design, thinking, and good old-fashioned creativity. With 20+ years of experience in online marketing, we know what does and does not work. No black hat techniques are used here, just a balance of good old creativity supported by countless hours of research. So you can rest assured that our team will keep your business ahead of the curve and deliver real results. We specialize in growing businesses of all sizes. Are you an established business looking for an edge on the competition? Or are you are just starting to build your online presence? Wherever your business is currently at, we at Monopoly Digital deliver the results your business deserves. Book a demo today and learn how you win online.